Good free jazz and free music DVDs are hard to find, so it's always a kind of an amazing fact when a dedicated label is created that does only that : release DVDs of "contemporary jazz and free improvisation". The label is called Panrec and is based in Bonn, Germany. Here are some of the great DVDs that they released recently. 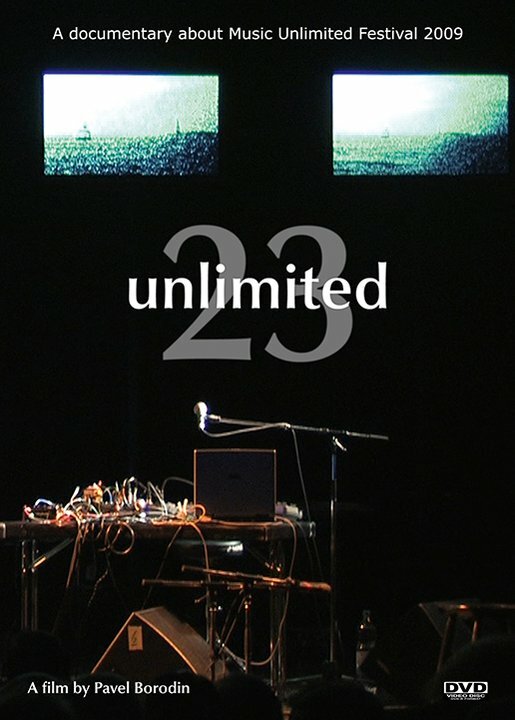 This is a great and high quality recording of the famous Tentet but now with special guests from Japan;: Toshinori Kondo, Michiyo Yagi, Yoshihide Otomo and Akira Sakata, recorded at Wels, Austria, in 2011. Hold on to everything that's dear to you .... and brace yourselves. 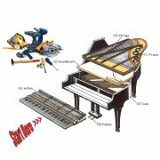 Filmed at Radio Studio Zürich in July 2009, the DVD brings the entire concert of the trombonist and pianist, shifting moods indeed, ranging from romantic moments over playful improvisations to fierce battles. 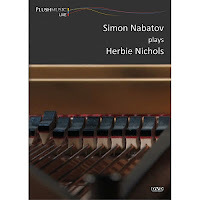 Despite all our goodwill, we cannot possibly review all albums we receive, and that includes Russian master pianist Simon Nabatov's excellent "Simon Nabatov - Spinning Songs Of Herbie Nichols-Solo", released on Leo Records last year. 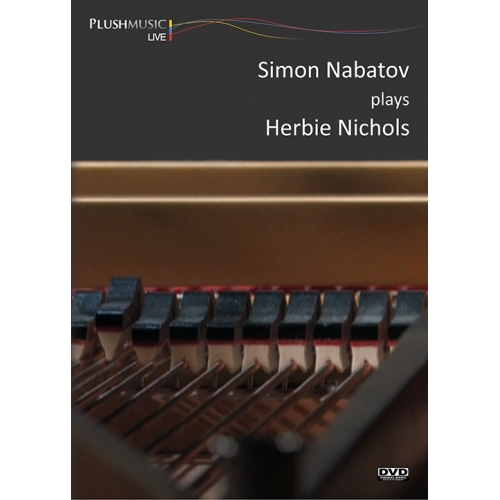 Fans of solo piano music and of improvisation should get both the DVD and the album, not only because of Nabotov's idiosyncratic take on Nichols, but also for the sheer joy of watching creativity at work per se. Shot in Wels, Austria, November 6–8, 2009, the concert and DVD features Kristin Andersen, Lotte Anker, Martin Blume, Arnold de Boer, Katherina Bornefeld, Tony Buck, Sylvie Courvoisier, Chris Cutler, dieb13, Shayna Dunkelman, Peter Evans, Fred Frith, Lene Grenager, Noid Haberl, Terrie Hessels, Lindha Kallerdahl, DD Kern, Pamelia Kurstin, Okkyung Lee, Thomas Lehn, Koichi Makigami, Stephen O'Malley, Phil Minton, Andy Moor, Ikue Mori, Mark Nauseef, DJ Olive, Maggie Parkins, Sara Parkins, Zeena Parkins, Maja Ratkje, Peter Rehberg, Hild Sofie Tafjord, Kazuhisa Uchihashi, Ute Wassermann, David Watson. It is an amazing documentary with lots of variation, and a real strong presence of some of today's avant-garde female musicians. And there are some other DVDs from other labels to which we should/could have paid more attention in the past. A great film with concert performances and interesting pieces of interview with the master in his work space. 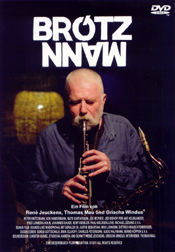 Produced and directed by Bernard Josse, the DVD gives a very honest interview and picture of Brötzmann as a musician, as a graphic artist, as a person, and as an icon, with interviews of other musicians like Han Bennink, Fred Van Hove, Evan Parker and many more. This less recent DVD brings several performances, starting with a long trio performance with Roy Campbell, Barre Phillips and John Betsch and with Maria Mitchell dancing. The music exists for the dancer, and the dancing is not always my thing, but nevertheless nice stuff. The second piece is "Spiritworld", an interview with Jeff Schlanger, painter specialized in capturing live performances, and to most of us possibly best known from the Vision Festival art work. "La Mémoire Et La Main" is a solo performance by Barre Phillips, and "Cellophan" a performance by Günther Christmann on cello. "Bass Quartet" says what it is, performed by Barre Phillips, Jan Roder, Berit Jung and Konrad Grüneberg. It took me some time to find it, but it's worth getting. Nice resource! Are the two DVDs with Nabatov the exact same as the CDs, or are they different performances? Great idea to feature DVDs. I can only recommend the three Brötzmann DVDs. While "Concert for Fukushima" mainly concentrates on the concert itself, the other two DVDs are real documentaries. I slightly prefer "Brötzmann" to "Soldier of the Road" because the interviews with Brötzmann are a bit more interesting, it is rather focused on the artist himself. 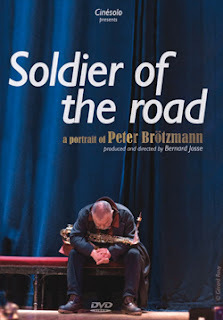 Really great in "Soldier of the Road" are the interviews with other musicians about Brötzmann, especially what Han Bennink says about the recordings sessions of "Machine Gun" is hilarious. I would also recommend the documentary "Musician" on Ken Vandermark, which gives great information about what it's like to be a musician in the free/ improvised scene, and of course "All the Notes" on Cecil Taylor, both unfortunately hard to get. Hi Premo, the Nabatov DVD on Nichols covers the same core material as the CD, but there's a two year difference between the recordings. I don't have the "Moods & Modes" CD, so I can't compare, although the tracklist is identical, so chances are high that it's the same. Does the "Brötzmann - Ein Film von René Jeuckens, Thomas Mau und Grischa Windus" come with English subtitles? the Brötzmann documentary by Jeuckens comes with English subtitles (at least my version has some). 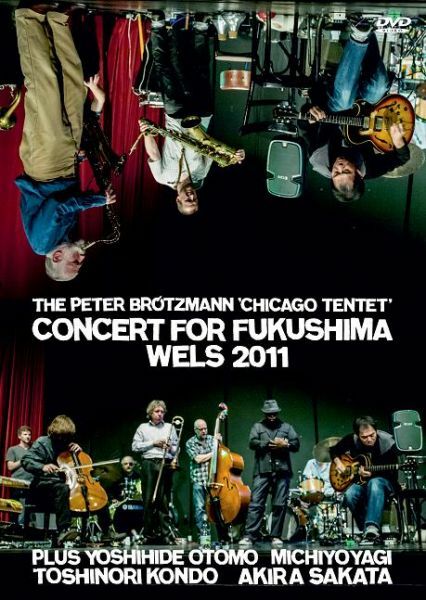 The Brötzmann DVDs are still available from Instantjazz. Five copies left of Soldier of the Road. 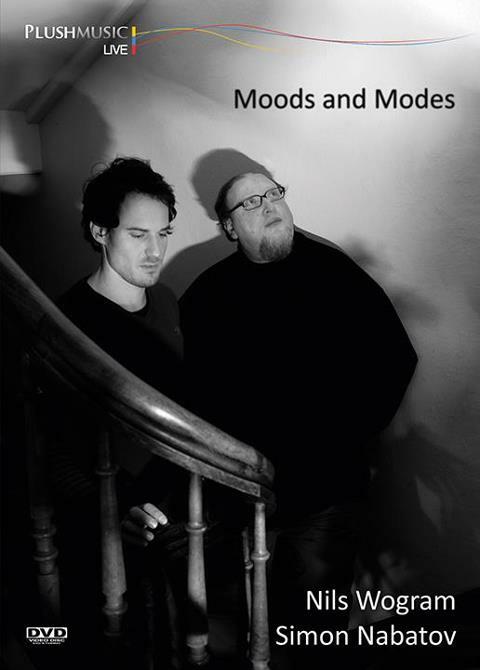 Hi Premo, the "Moods & Modes" DVD is identical to the CD. It's actually not a concert, but filmed studio recording.